When DC introduced the Earth One line of books seven years ago, it opened up a new realm of possibilities. With 52 separate universes comprising the multiverse, each offers something markedly different from what we’ve come to know by way of standard continuity, often referred to as “Earth Prime” or “Earth 0.” So, with this line of original graphic novels focusing on the universe next door, you’re bound to see similarities to established canon, but there’ll be a few surprises along the way. So far, the likes of Superman, Batman, Wonder Woman and Teen Titans have all been given this treatment, each of which provided stories highly accessible to new readers. But whereas those didn’t veer too left of the familiar, it looks as though Green Lantern: Earth One will make the boldest moves of all. 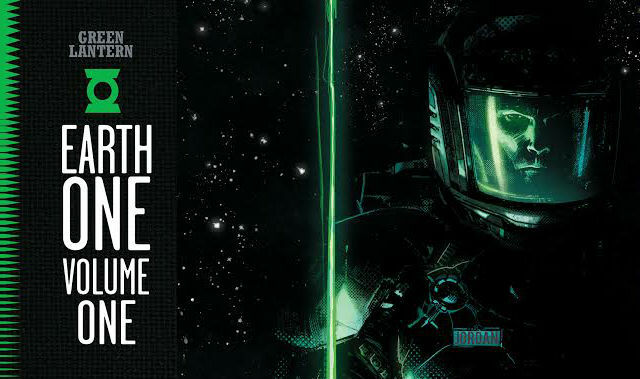 For Green Lantern, the story sees Hal Jordan re-envisioned as an astronaut who seeks the thrill of discovery, yet finds himself in an unfulfilling job prospecting asteroids for Ferris Galactic. His fortunes change when he finds a powerful green ring and learns that it came from the Green Lantern Corps, a group that was long ago murdered by killing machines called Manhunters. This sets him on a mission to reinstate the Corps, a nearly impossible task for the fearless Jordan. There you have it. Instead of Hal Jordan being a member of an intergalactic peacekeeping force and a test pilot, he’s the sole ring bearer in the universe and already well-acquainted with space travel. In a way, being the lone Lantern kind of reminds me of what happened when Kyle Rayner came along in the 1990’s, but the creative team obviously has something much different in store for we the readers. Speaking of which, this’ll be co-written by Corinna Bechko and Gabriel Hardman, with Hardman also providing the artwork and Jordan Boyd handling colors. What’s more is that Hardman storyboarded the film Interstellar, so we should brace ourselves for some truly dynamic visuals. 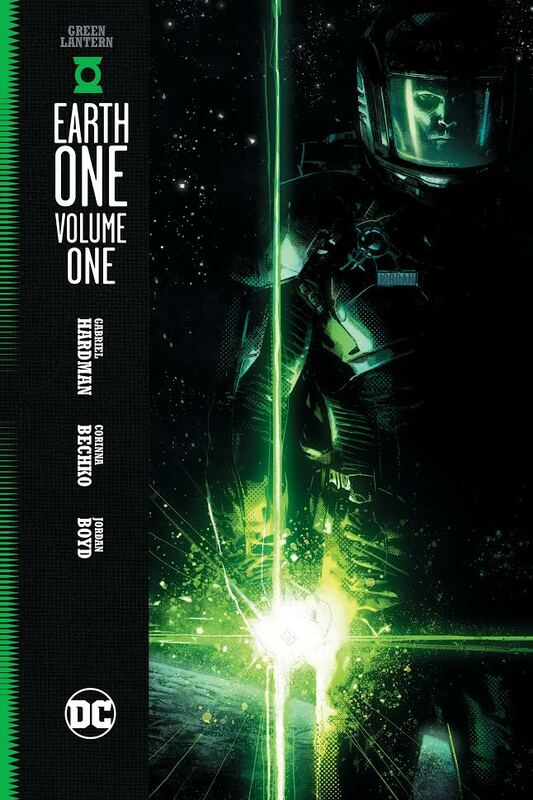 Green Lantern: Earth One Volume One arrives in stores on March 20, 2018. That said, we can only hope this means this line of books is back on track, as things have been mum for about a year. Plus, let’s not forget Geoff Johns still owes us a third Batman volume, so maybe more positive news is on the way.